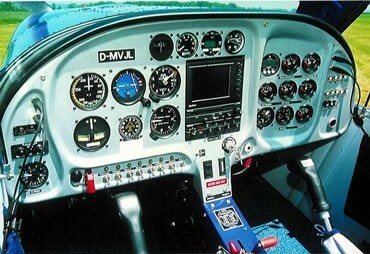 Since its introduction in 1992, the Storm 300 series has become very popular with first-time pilots and low-time builders. The Storm 300 model is designed to achieve maximum performance and efficiency with the new generation engines: the six-cylinder Jabiru, the 80 or 100-hp Rotax 912S, and Subaru automotive conversions. The wing flaps keep the stall speed low for recreational pilots. The Storm Century has been configured to take full advantage of its increased useful load. New and larger wing tanks offer a larger fuel capacity (24 US Gal. per side) resulting in superior range and endurance, and the baggage area behind the seat has also been increased to the point that it is possible to install 2 jump seats for children. The baggage compartment has a high weight limit considering the size and class of this aircraft. 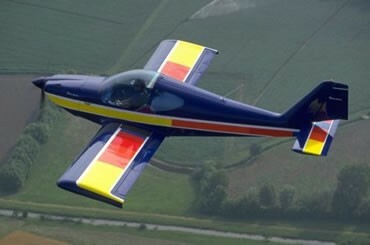 The Storm 300 is a high performance two-place, low-wing, tractor sport plane. Design features include all-metal construction, fixed landing gear with steerable nose gear for the tricycle gear version. The Storm 300 is a true high performance airplane with the ability to make 750 mile cross country trips at cruise speed and 1000 miles for the Century version with standard wing tanks. An adequate supply of cool fresh air is available through forward inlets; this air can also be heated using an optional heater using either the exhaust muffler or a water radiator for engines such as the Rotax 912 series. The Rotax 912 Series is used in certified aircraft such as the Diamond Katana and has a high TBO of 1500 hours or more. It operates very well on automotive fuel and fuel burns are efficient. Using modern day airfoil technology, clean cabin lines, and non-complex systems, the Storm 300 and Storm Century exceed most other aircraft in their class – in efficiency, performance, build-time and simplicity. The Storm 300 performs best at both low and high altitudes. Piloting workload can be shared by two pilots owing to the dual controls, and the Storm 300 and Storm Century’s incredible stability and spacious instrument panel make them excellent platforms for IFR flying. With extremely crisp controls and excellent stability and control, the Storm 300 and Storm Century allow you to fly long distances with minimal pilot fatigue, yet they will manoeuvre with the best of the two-seat sport planes. Once on the ground, the Storm 300 and Storm Century have the same docile ground handling characteristics. Sleek, fast, safe and efficient...these are the words that describe the entire range of Storm 300 and Storm Century sport aircraft. The modern aerodynamic design of the Storm 300 and Storm Century means all outside surfaces are generating lift, providing fuel efficiency and stability. The Storm 300 and Storm Century are easy to build, easy to fly, true high performance airplane with the ability to make long cross country trips. No other aircraft in this class offers the quality, performance, stability, comfort, styling and superior design of the standard Storm 300 and Storm Century. The standard Storm 300 and Storm Century offer slightly faster cruise, top speed, and roll rate over that of the Storm 280. The Storm 300 and Storm Century kits are constructed with the finest quality materials available. The aluminium is supplied by leaders in the aerospace industry. Most of the hardware, metal, parts and components are either certified aircraft quality or of comparable quality . Because materials invested in the construction of your kit are so important, you simply get the BEST. The astonishing performance of the Storm 300 and Storm Century demonstrates the outstanding skills of the design and engineering team that collaborated to bring the aircraft to its present refined state. The use of the best materials, the latest design techniques and construction methods, together with rigorous quality control procedures, means that S.G.Aviation is setting the foundation for a new standard in the industry. With a choice of power plants from mild to wild the Storm 300 and Storm Century can be tailored to your distinctive taste. And wherever you are in the world you can always be sure of S.G.Aviation support. The Storm 300 and Storm Century offer a remarkable combination of speed and performance without compromising safety.